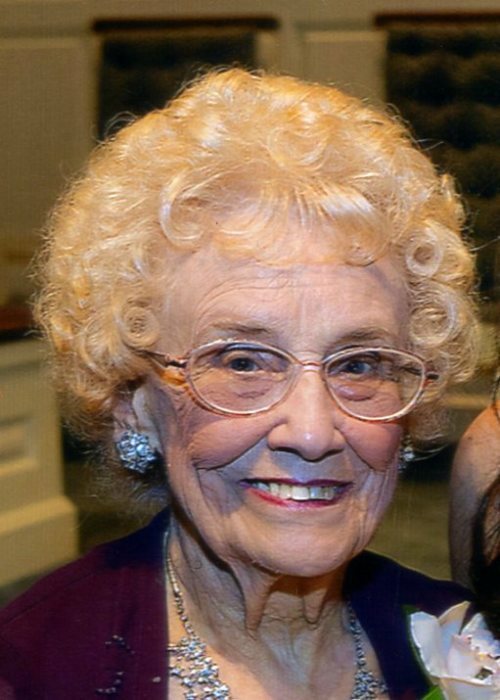 Eleanor L. (Sokolowski) Lewczyk, 98, of Natrona Heights, passed away Friday, February 1, 2019 at her home. She was born August 28, 1920, in Nanticoke to the late Charles and Josephine Bobowicz Sokolowski. Eleanor was a registered beautician for many years, she worked at one time for West Penn Hat and Cap and retired from Papercraft in Blawnox. She was a member of Our Lady of the Most Blessed Sacrament R.C. Parish, Most Blessed Sacrament Church in Natrona Heights, the C.D. of A. and the Brackenridge American Legion Post 226 Ladies Auxiliary. Eleanor enjoyed cooking, baking and crocheting. She is survived by her children, Carma (Ronald) Glowacki, of Mentor, Ohio and Henry F. Lewczyk Jr., of Irving, Texas; grandchildren, Ronald Glowacki Jr., Sheree Hanson and Shannon (Jacob) Lawson; and by her great- grandchildren, Breanna and Megan Glowacki and Madison and Brenden Hanson. In addition to her parents, she was preceded in death by her husband, Henry F. Lewczyk Sr. on June 18, 1999; brothers, Casimir R. "Sam" Sokolowski and Rev. Edward Sokolowski; and by her sister, Geraldine Toone. Friends will be received on Monday from 3-7 PM in the Cicholski-Zidek Funeral Home, Inc., 1522 Carlisle Street, Natrona Heights 724-224-8688, where a blessing service will be held on Tuesday at 9:30 am. Mass of Christian Burial will follow at 10 am in Most Blessed Sacrament Church with the Rev. Aaron Kriss as celebrant. Burial will be in Our Lady of Hope Cemetery, Frazer Township. To send an online condolence please visit www.cicholski-zidekfh.com. A Parish Vigil service will be held in the funeral home on Monday at 2:45 pm.